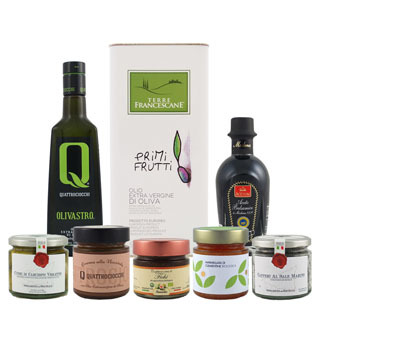 The Terre Francescane Moraiolo extra virgin olive oil is obtained exclusively from the best Moraiolo olives from Umbria, carefully selected by Tiziano Scacaroni. This medium-fruity olive oil is complex and powerful in flavor with notes of artichoke, mint and sage. It’s a wonderfully pungent oil with a sweet almond finish. Pair this oil with grilled red meats and vegetables, or drizzle over bean soups and bitter greens, such as arugula or endive.